In the time after birth, some infants may need help breathing through the use of machines. These machines must be set properly by a trained professional. If they are not, they will remove too much CO2 from the baby’s blood. This puts the baby at risk for brain damage, as CO2 levels that are too low prevent proper blood flow within the brain. This can cause tissue loss in the brain’s periventricular area, known as PVL. Overventilation can also cause lung tissue scarring or lung collapse. Many newborns (especially preterm infants) require assisted ventilation at birth for conditions like apnea or respiratory failure. Despite its life-saving benefits, however, mechanical ventilation can cause serious damage if not managed properly. Brain damage, lung damage, and other complications may occur if the baby is over-oxygenated or over-ventilated. Throughout this page, our Detroit, Michigan birth injury attorneys will discuss everything you need to know about birth injury as it relates to overventilation and hypocarbia. Overventilation occurs when a baby is given breaths that are so large and/or fast, it causes the baby to get rid of too much carbon dioxide (called hypocarbia). When a baby has abnormally low levels of carbon dioxide, it may cause permanent damage to the brain due to a lack of perfusion (cerebral blood flow) to critical areas of the brain. Hypocarbia and subsequent lack of perfusion have been associated with periventricular leukomalacia (which involves the death of small areas of brain tissue around fluid-filled areas called ventricles; the damage forms “holes” in the brain), cerebral palsy, and hearing impairments. Likewise, too much pressure from mechanical ventilation can cause lung problems such as a pneumothorax or worsen bronchopulmonary dysplasia (an abnormal development of lung tissue in premature babies characterized by inflammation and scarring). Mechanical ventilation. When a baby needs help with breathing, she might be placed on a breathing machine, called a ventilator, which will either assist her breathing or completely breathe for her. Even though these machines display the volume of air being delivered to the baby’s lungs, as well as the pressure in the baby’s lungs, sometimes the medical team allows there to be a volume/pressure that is large enough to damage the lungs. The medical staff may set the volume of air/oxygen delivered to the baby high in order to decrease the carbon dioxide level in the baby’s blood. Volumes that are too high on the ventilator can cause lung damage that is similar to that from bagging (discussed below). In addition, large volumes can cause a baby’s carbon dioxide level in the blood to fall below normal. When a baby has a continuously low carbon dioxide level (for a few hours or more), it can cause decreased blood flow (decreased perfusion) to the brain, thereby leading to brain damage and other injuries. Bagging. This is when either a flexible tube is inserted into the baby’s trachea (windpipe) or the baby is given an oxygen mask and then a device called a bag, is attached to the device. The bag is squeezed to force air or oxygen into the baby’s lungs. This is also known as positive pressure ventilation (PPV), or “bagging.” Bagging is the method of breathing for a baby during an emergency situation, such as during CPR or while waiting to place the baby on a breathing machine (ventilator). Since bagging is done by hand, there really is no way to know how much air is being pushed into the baby’s delicate lungs. Thus the pressure or volume of air the baby’s lungs are getting usually is not known. Lungs can be seriously injured when too much volume/pressure is forced into them. This injury occurs when the volumes of air administered during ventilation are too large and create too much pressure in the baby’s lungs. The alveoli (the tiny air sacs in the lungs where the exchange of oxygen and carbon dioxide takes place) become over-distended and rupture, causing the lung to blow out. This results in holes in the lungs which allow air to leak through into the surrounding spaces, forming a pneumothorax. This build-up of air prevents the lung from fully expanding. The longer this is left untreated, the more air there is that leaks into the space around the lung, which further restricts the ability of the lung to expand. This hinders the baby’s ability to breathe properly, which may cause oxygen levels to drop and carbon dioxide levels to increase in the long run. This decrease in the baby’s blood oxygen level can cause brain damage. A pneumothorax also can compress the veins that bring blood to the heart. As a result, less blood fills the chambers of the heart, the output of the heart decreases, and the baby’s blood pressure decreases. This also can lead to serious problems and can cause a lack of blood flow to the brain, thereby increasing the chances of brain damage. If only a small portion of the baby’s lung is collapsed, the physician may simply monitor the condition of the pneumothorax with a series of chest X-rays until the air is completely absorbed and the lung has re-expanded. A larger area of collapse may require that a needle or chest tube is inserted to remove the air. Surgery is the next option if a chest tube is unsuccessful. This is a common defect of the lungs among premature babies. It is characterized by scarring of the lungs, primarily from the immaturity of the lung tissue. BPD is typically diagnosed when a premature infant has been on ventilation/oxygen therapy long-term – more than 28 days. It is not known what causes this serious condition; however, mechanical over-ventilation is known to worsen it due to increased pressure exerted on the lungs. When a baby is on a ventilator and is over ventilated because the machine is giving her breaths that are too large (and perhaps too fast), the carbon dioxide level in the blood may decrease below normal. When there is an abnormally low carbon dioxide level in the blood for too long (5 or 6 hours or more), blood flow to the brain is decreased (decreased perfusion) and permanent brain damage can occur as a result. A baby that is receiving mechanical ventilation will likely have an umbilical artery catheter (UAC), which makes it easy to draw blood and monitor the oxygen and carbon dioxide levels in the blood. A sign of over ventilation is a carbon dioxide level that is below normal. A low carbon dioxide level that is due to over ventilation can be corrected by decreasing the volume of air given to the baby, as well as by decreasing the number of breaths the baby is given by the ventilator. This is the death of the white matter of the brain due to softening of brain tissue. It is a risk in premature babies and is caused by a lack of oxygen or blood flow to the periventricular area of the brain, which results in the death or loss of brain tissue. The periventricular area is the area around the spaces in the brain called ventricles. These are critical areas, as they contain nerve fibers that carry messages from the brain to the muscles. Babies with PVL are at risk for motor disorders, delayed mental development, coordination problems, and vision and hearing impairments. PVL may be accompanied by a hemorrhage or bleeding in the periventricular-intraventricular area (the area around and inside the ventricles) and can lead to cerebral palsy. The disorder is diagnosed by an ultrasound of the head. Asphyxia: This is when a baby’s brain and other organs do not get enough oxygen before, during, or just after birth. Meconium aspiration syndrome: This is when a baby has problems caused by inhaling meconium, which comes from the baby’s first stool. Babies who have lung damage prior to being over-ventilated, or whose lungs are not fully developed, are the most susceptible to over ventilation lung injury. Problems that can arise from over ventilating a baby are very serious. When a ventilator is helping a baby breathe, it is crucial that the medical team closely monitor the baby’s carbon dioxide levels so that adjustments can be made to correct a low carbon dioxide level, should this occur. Failure to correct a low carbon dioxide level that is caused by over ventilation is negligence, and when this failure leads to brain damage, it is medical malpractice. Also, failure to adequately monitor the condition of the lungs when a baby has been exposed to bagging or mechanical ventilation also constitutes negligence. When these failures lead to lung injuries or brain damage, it is medical malpractice. 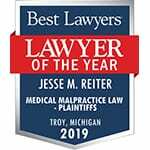 If your child was on ventilation of any sort at birth and now suffers from any of the injuries above, call Reiter & Walsh ABC Law Centers today. Our experienced birth injury lawyers will review our child’s case for negligence, answer your questions, and let you know all of your legal options. 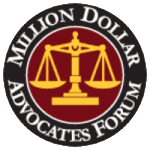 While we’re located in Michigan, we help clients all over the country, including Pennsylvania, Tennessee, Mississippi, Texas, Wisconsin, Michigan, Ohio, Washington D.C., Arkansas, and more. The initial consultation is free and we never charge any fees until we win your case. Laffey JG, Kavanagh BP. “Hypocapnia.” N Engl J Med. 2002;347:43-53. Murase M, Ishida A. Early, “Hypocarbia of preterm infants: its relationship to periventricular leukomalacia and cerebral palsy, and its perinatal risk factors.” Acta Paediatr. 2005;94:85-91. Tracy M., Downe L., Holberton J. “How safe is intermittent positive pressure ventilation in preterm babies ventilated from delivery to newborn intensive care unit?” Arch Dis Child Fetal Neonatal Ed 2004; 89:F84–F87. Vellanki H, Antunes M, Locke RG, McGreevy T, Mackley A, Eubanks JJ, Western M, Emberger J, Paul DA., “Decreased incidence of pneumothorax in VLBW infants after increased monitoring of tidal volumes.” Pediatrics. 2012; 130(5): 1352-1358. Watkinson M, Tiron I., “Events before the diagnosis of a pneumothorax in ventilated neonates.” Arch Dis Child Fetal Neonatal Ed. 2001; 85: 201-203. Zhou, Wei, and Wen Liu, “Hypercapnia and hypocapnia in neonates.” World journal of pediatrics WJP. 2008;4.3:192-196.